Hard Floor Cleaners Business & Residential TW Hounslow | RDA Cleaning & Maintenance Ltd.
You have some horrible stains on your floor? Don’t panic, RDA Cleaning & Maintenance Ltd. offers professional hard floor cleaning services in Hounslow TW to domestic and commercial customers . We can clean just about any kind of indoor or outdoor hard floors. We will clean and re-seal them once again, for better protection. Our cleaning technicians are vetted and experienced to handle all kinds of floors. To get a completely free estimate, contact our 24/7 customer care representatives on 020 3404 1646 ! We believe that what most matters is customer satisfaction. We are happy to say that 97% of our customers claim that they will gladly recommend us to others. Our hard floor cleaners Hounslow TW would arrives with the equipment and eco-friendly and safe professional solutions for cleaning and sealing the floor. 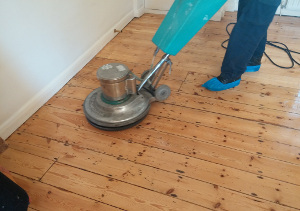 The furniture is removed and a thorough inspection is done to determine the exact material of the floor, its condition, as well as any removable stains. The floor is hoovered thoroughly and then the stains and heavily soiled areas are pre-treated. If there is existing sealant or polish which needs to be removed, it is taken off with a modern scrubbing machine with different pads. Depending on the type of hard floor, a different cleaning solution and treatment are used. The solution is rinsed off, and the floor is dried. An appropriate sealant is applied. RDA Cleaning & Maintenance Ltd. is a recognised hard floor cleaning company that specialises in the proper techniques for safe and natural cleaning and maintenance of hard floors. We offer efficient sanitising methods and innovative equipment. Our hard floor cleaners Hounslow TW would brighten the tiles and joints, leaving your floor clean and shiny. The various methods of revitalising hardwood floors depend on two main points. First of all, what condition the wood floor is and, second of all, what finish has been previously applied to the floor surfaces. The thorough hard floor cleaners remove all accumulated dirt and soil and restore the bright look of the floor. There is no point to scrub and wash your home floors for hours! And if you care for the optimal working process in your office, you better call us. Better not wait and reserve the sophisticated hard floor cleaning and polishing service in Hounslow TW. Get a free quote now! Dial 020 3404 1646 and right away!